Tonight’s dinner was a winner. I bought frozen whole tilapia and defrosted it. After cleaning I cut 3 large cuts into the fish and rubbed seasoning all over. I stuffed each with chopped tomatoes, shallots, garlic cloves, salt, pepper, and spice. The tilapia soaked in apple cider vinegar from Pikliz (Haitian style cole slaw; made with habanero peppers) beforehand. 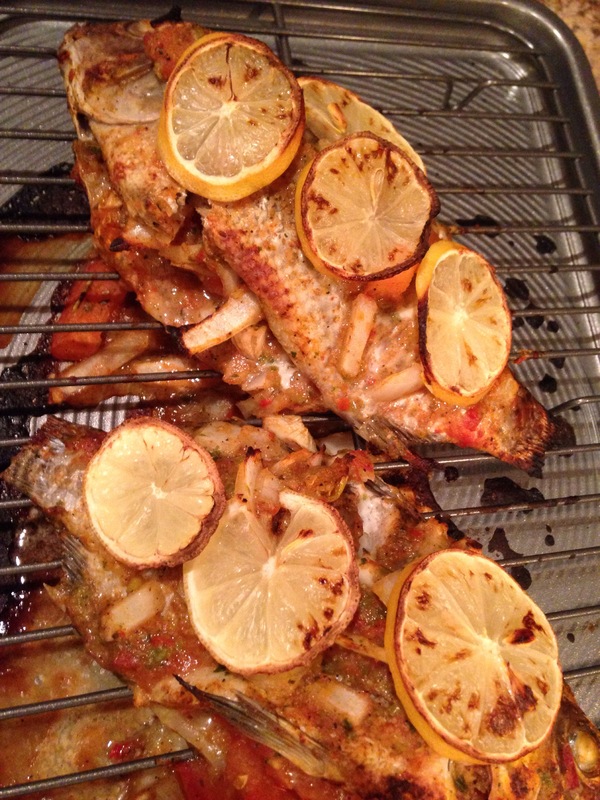 I put both fish on a baking tray rack and topped with lemon slices. Baked for 20 minutes and then broil for 5. Served with plantains, rice, and avocado salad. 1. Clean the fish thoroughly, specially the inner cavity. 2. Mix onion paste, garlic clove, tomato, seasoning and spice. I used a Haitian paste. 3. Rub the spice paste generously on to the inner cavities and outside of the whole tilapia. Set aside for 5-10 minutes in apple cider vinegar. 4. Preheat oven to 400 degrees Fahrenheit. 5. 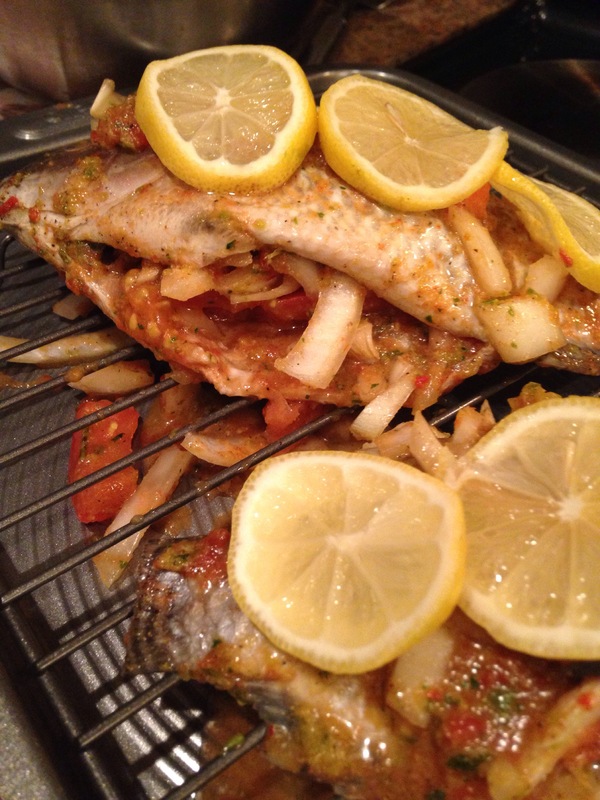 On an oven proof dish, add lemon slices over the fish. 6. Bake fish for 25 minutes. Set the oven to broil and keep the fish in the oven to broil for 5-6 minutes turning once. Next Post What’s in your toothpaste?